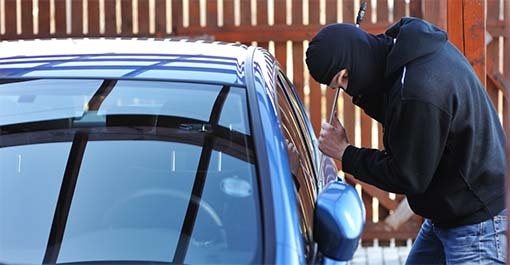 Recent reports have shown that vehicle theft is still a major issue worldwide and vehicle theft rates are so high that several countries report that a vehicle is stolen once every 44 seconds. With this alarming rate of theft it is good to know that the technology is available to protect your vehicle from theft and assist in recovery after theft with GPS car trackers. There are 3 little known facts about GPS car trackers that are important for any car owner wanting to protect their vehicle. With certain model GPS car trackers (like the fleetminder FM Lite), if the car alarm is triggered, the GPS car tracker will send an SMS text message to the car owner’s mobile phone alerting them that the alarm has gone off. The car owner can then check the car for suspicious activity and call the police if required. Another lesser known fact is that GPS car trackers have increased recovery rates of stolen vehicles when vehicle owners provide the GPS coordinates to police or the local authorities to aid in recovery efforts. By quickly recovering the vehicle you will prevent loss due to theft of the vehicle contents or stripping the vehicle down for parts. This is also a well-known fact that car insurers know about. When you install a car tracker contact your insurance company and let them know. Often they will reduce your premium. The third fact about GPS car trackers is that when they are installed in a car, the owner now has the ability to deactivate the ignition remotely and prevent the vehicle from being moved again after a theft occurs. This means that your car can be recovered quicker and stops thieves from getting away with your car or using it for a robbery, etc. These three facts about GPS car tracker technology give car owners the tools to help stop loss due to vehicle theft and aid in recovery if their vehicle becomes a thief’s next target.